Renato Capecchi Interview with Bruce Duffie . . . . . . . 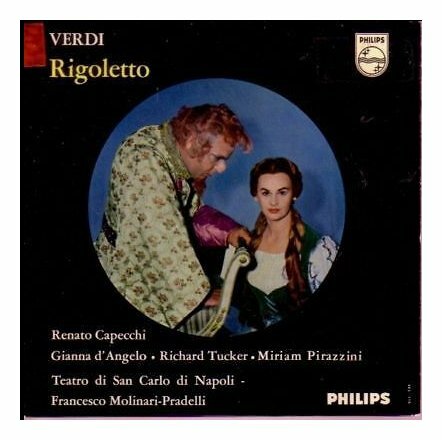 The repertory of Renato Capecchi was huge, encompassing hundreds of roles; as the years passed, he increasingly concentrated on the buffo parts, and eventually undertook directorial assignments, allowing him to share his theatrical fluency with other singers. Following studies in Lausanne and Milan (where he trained with Ubaldo Carozzi), Capecchi debuted as Amonasro (Verdi's Aïda) at Reggio Emilia in 1949. The very next year, he began an association with La Scala and, shortly thereafter, he was engaged by the Metropolitan Opera, making his debut in New York on November 24, 1951, as the elder Germont in La traviata. He remained on the roster there until 1954, and returned in 1975 as both singer and stage director. Meanwhile, he made his way on the concert stage, singing, for example, Lorenzo Perosi's La passione di Christo with the Wiener Singakademie at the Maggio Musicale Fiorentino (October 1, 1953). 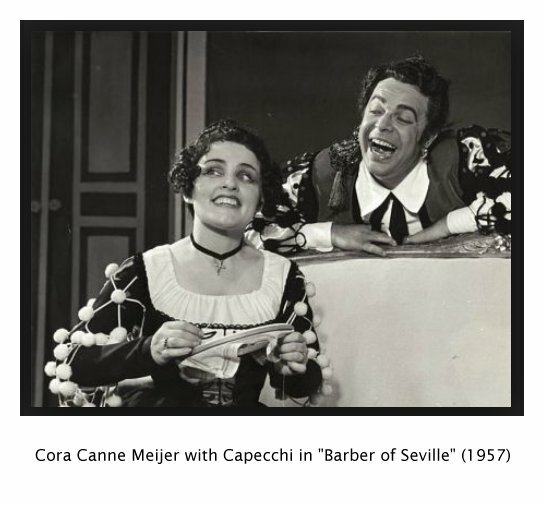 Capecchi sang numerous contemporary operas, including the premieres of Malipiero's La donna è mobile and Ghedini's Billy Budd and Lord Inferno. As late as 1988, he created the part of the Maestro di Cappella in Sylvano Bussotti's L'ispirazione at the premiere in Florence. He also participated in the Italian premieres of two twentieth-century Russian operas: Prokofiev's War and Peace (performed in 1953, the year of the composer's death), and Shostakovich's The Nose (1964) -- one of those prickly, satirical works that caused the composer so much political grief. Melitone in La forza del destino, an interpretation preserved in its early form on EMI's 1954 recording with Maria Callas and Richard Tucker, served as Capecchi's debut role at Covent Garden in 1962; in the same year he sang Mozart's Figaro at the Lyric Opera of Chicago. 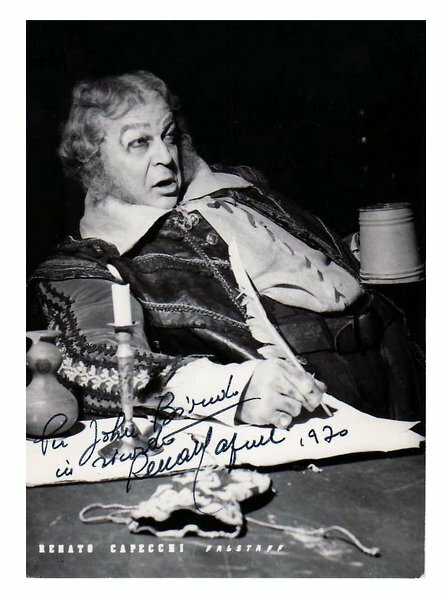 Capecchi's Dulcamara, Gianni Schicchi, and Bartolo became equally expert, and his Falstaff was a genuine hit at the Glyndebourne Festival in both 1977 and 1980. 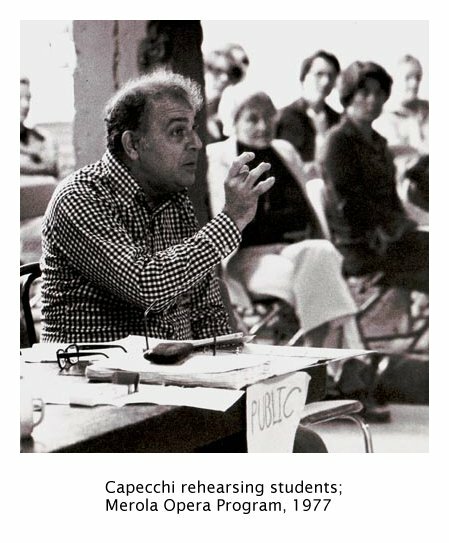 Teaching was accorded a growing place among Capecchi's activities long before his stage performances diminished. 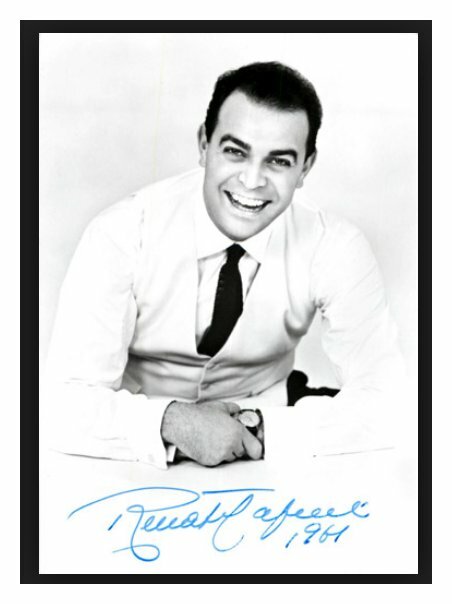 Numerous conservatories and studios throughout America and Europe engaged him for master classes and seminars, and he enjoyed success in producing programs for television. During his second visit in 1986, he graciously invited me to his apartment for a conversation. While setting up the recorder for the interview he asked if we had to be serious, and with a smile and a wink indicated that he was joking! So this idea opened the discussion . . . . .
Bruce Duffie: Well, my first question is how do you make sure that comic operas do not become slapstick? 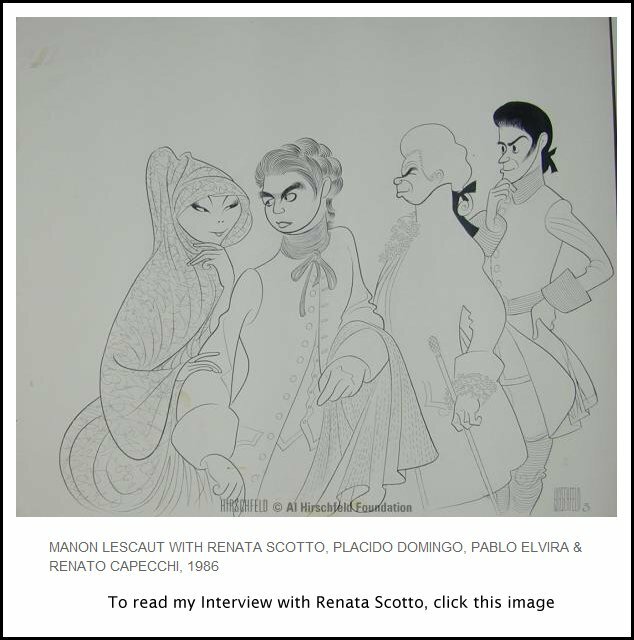 Renato Capecchi: Not become slapstick? You have to understand the comic opera. This is the first argument, the first way to understand how not to make a comic opera slapstick because usually they confuse opera comica. The opera comica is comica because of the text, because of the situations. Very often they use the opera comica just for an exploitation of gags, which are usual gags. Very seldom you find something new, and so they become boring and they become a ‘tear’ comedies instead of laughter comedies. BD: Are there more visual gags when the opera is not being done in the language of the audience, such as when an Italian opera is Italian done here in Chicago? RC: Definitely, definitely. This is the big problem of the opera, of the melodrama. Melodrama has been done for specific countries with specific languages. Wagner is done in the German language, and if you do Wagner in Italian or Strauss in Italian, it’s just a laughter. Falstaff is Italian just because Boito wrote the Falstaff, which is not the Shakespeare Falstaff. So when I see the approach that many wayward directors or conductors have for the Verdi Falstaff, I just say, “God, this is not Italian!” Falstaff is purely Italian, and there is only one lexicon in Italian that gives you the words of Boito. So when you don’t understand the language you go slapstick, and this is the big problem of the opera for everybody in the world now because there is a lot misunderstanding of what is the melodrama. Gags are not the melodrama. BD: Is there any way to overcome these problems? RC: First it should be necessary to know languages, but humanity is becoming more and more lazy, and everybody’s trying to speak only English. The English becomes a problem because I perfectly agree with older theaters who are now putting up the subtitles. BD: So you think it’s a good idea to have the titles? RC: It’s a fantastic idea. You respect the original work, otherwise you have a kind of imitation of a masterpiece, which is not a masterpiece anymore. Going to the extreme, it’s more or less like when you go to the museum and you ask yourself, “Can this one be a real painting, or is it a fake?” You know perfectly well that in the world there are thousands and thousands and thousands of fakes. Most of the museums have fakes now, and they present them as real Leonardo Da Vinci, etc, etc, etc! BD: Is the opera house becoming a museum? RC: No. The opera house will never become a museum as long as there are people in love with a specific kind of music — like the opera, like the melodrama. There are the people who collect stamps and people who are collecting posters or small perfume bottles or it doesn’t matter what. You will always have an audience, a public, those collectors. [Matter of factly] Of course I don’t believe that the opera is for everybody. BD: [Somewhat taken aback] No??? RC: No, not at all. Not everybody likes it. If I was asking you, “Would you like a coffee?” you might say, “I don’t drink coffee.” That’s it ! Not everybody has to drink coffee. I don’t drink tea. I just don’t like tea. I drink tea from time to time just for fun, but I don’t collect tea. I collect coffee. This is the answer. It was very clear years ago after the 1968 big social revolution in Europe when everybody — but not me — became leftist. We had to go to the people and we had to open the theater to the people. We had to go to the people in their own towns, so what happened? We were literally spending billions and billions and billions bringing the opera from La Scala in small villages where there was no theater. So we were trying to do something in movie houses. Because it was a dramatic situation we didn’t have an audience at first. When we had an audience we were obliging them to come by giving them the ticket. They went to see La Scala, and we saw these poor dull faces understanding nothing, but eventually laughing when the drama was there, or being serious because they didn’t understand the words. So that was the bad explanation. It’s useless going to the people if the people don’t want to hear us. You cannot push somebody to become a stamp collector if he hates stamps. It’s like suggesting restaurants. I don’t suggest restaurants anymore to anybody. I cannot count how many times I’ve sent people to excellent restaurants because I’m a gourmet, and they later say they did not like the food. BD: You’re a gourmet eater. Is the public segmented into being gourmet opera goers and gourmet symphony goers? RC: [Ponders a moment] No, I don’t think so. Being a gourmet is really a selection in the selection. You may feed yourself very well with good music like I do, but I’m not obsessed by music. There are other interests, so I wouldn’t say that the opera-goer should be gourmet. RC: It’s totally another show. The picture is something small, so very seldom do they take the whole stage. With all the possibilities that the technique gives us, you can do what you want with opera. But when it comes to the details you can have very important ideas. I was very happy to be there for rehearsals just to do all the details of this kind — the flowers, the curtains, the in and out of the sets, all of which makes the show. BD: And this is lost on the television? BD: Should we not do opera at all on television then? RC: Oh, no, no. It depends. Not all operas can be done on television, I would say. I didn’t see the Met Tosca in the theater but I did see it on TV, and I’m very curious because next year I will sing this at the Met, and I’m sure it will be totally different. When I first saw the Zeffirelli Bohème it was on the TV and I said, “My God, it is so beautiful; it’s so splendid!” Then I had to go to the Met to study the show from the company box because I had to sing it, and I wondered where are the singers? Where I should be? I don’t see my place because he was conceiving the show for a movie. But doing a movie is one thing and television is something else. The small screen is something different than the movie. BD: They should make opera movies but not from the opera house? RC: Yes, because otherwise you see the tongue of the singers because they go close in on the face and you see [makes an ugly tongue-sound] ‘yah, yah, yah, yah’ the tongue shaking like this, and it’s not beautiful. BD: Let me ask the ‘capriccio’ question. In opera, which is more important — the music or the drama? RC: Good question. It depends. There is some music which is very, very, very beautiful because of the text. You perfectly know that the melodrama started because melos, which means melody and drama and action comes from the Greek. Monteverdi took the idea of Conte di Bardi in Florence to start in the end of the 1500s to try to go back the old style of the Greek theater because they were bored about the polyphony. Not everybody knows that. So at this point the text was everything. Two years ago I did a class for the whole year at the Juilliard School just trying to explain to these people that words are very important, that the text is capital. Of course the text is capital, and that’s why the music is under the text. That should always be under the text, and in the Italian opera usually the text is capital. When I was in Santa Fe two years ago, we did a fantastic production because for me Santa Fe is the Salzburg of America. Every detail is taken care of. I had to direct Matrimonio Segreto [The Secret Marriage] of Cimarosa. It’s a very beautiful opera. The problem is that it’s done everywhere in schools, so everybody has the bad opinion that this is for young people. You have to be a master to do Matrimonio Segreto. Before the opera started I was very upset when one of the critics said, “This week there will be Matrimonio Segreto from Cimarosa, which is a minor Italian composer, and the plot is one of the meanest, stupidest Italian plots where you don’t understand anything!” I would like to know what he can understand about Hofmansthal or about the stories of Wagner which are so weird. Just today I attended the rehearsal of Parsifal. It’s a fantastic opera, but God, how long! Five hours and a half to tell you a small story. The whole story of Bohème goes in less than two hours with the music, and the same for Rigoletto. Otello is everything, but of course it’s not the Othello of Shakespeare, it’s shorter. But God, if you understand the words, the problem is enjoying the text. If you don’t enjoy the text, you will be bored from [demonstrates typical accompaniment] ‘um-pie-pie, um-pie-pie ... libiamo, libiamo’ which has no sense if you don’t understand the text. I think it was James Levine who said very soon opera will be dead because the audiences don’t understand the texts so they don’t enjoy it. They sit there, they look this masterpiece where more and more is brought to the set and to the stage because you have to épater le bourgeois [shock the bourgeoisie]. People come to New York and they sit at the Metropolitan, coming from the small villages because they visit New York. They go to see the trade center, the two twin towers, or St Patrick’s cathedral. They go to see the Metropolitan Museum and they go to eat in an Italian restaurant in Little Italy because this is the tour. They go to see the Statue of Liberty. They go on Broadway, they go to see 42nd Street. They go to see a show on Broadway and they understand. There are always masterpieces on Broadway, but then when they come to opera, they sit there. You have no idea how many people I’ve met on trains and on planes who say to me, “Oh, you’re from the Metropolitan. I’ve seen such-and-such. Fantastic, what a show.” But they didn’t understand anything. BD: They just came for the spectacle? RC: Yes, because there are no subtitles for it, so they have no idea. Or they come for names. I remember this report from somebody who is always at the opera house who told me there was a couple next to her, and she was screaming to him, “Why did you have to spend all this money to come to the opera today, and there’s nobody we know!” The fact that you know somebody doesn’t mean anything. It’s absolutely terrible in Germany where they spend everything on sets and on directions. The more scandal they do, the more successful they are because immediately the other critics and General Managers are coming to see what happens. So they make their name by scandal, but this is not opera. Nobody cares about music anymore. In my time we would have one week at least of musical rehearsal with the conductor and a piano working on the subtleties of the text and trying to match voices. Now the voices very often don’t match anymore. You land, you sing, you take off. This is what happens. There is a collage of personalities, but it’s not a collage of work. The style is not there. BD: You would like to bring back the ensemble? RC: The ensemble is the capital, and we don’t have that anymore. BD: Let us talk a little bit about singing. You’ve done many roles in many houses. Do you sing differently in different sized houses? Do you change your technique at all? RC: You’re lucky if you have one technique for ever. God knows, you have to have one technique. You must have a technique which you can use to adapt your voice for every style. I never understood why speak about the word ‘style’. Mozart is written in a way that you cannot sing it another way. You cannot sing Mozart like you sing Puccini. You cannot sing, let’s say, a B or an A in Mozart like you sing for Verdi. You have to use the same technique but it’s another way to project the sound. French music has to be done in another way, and German music has to be done in yet another specific way. BD: There are the traditions of opera? RC: No, it’s not the traditions of opera. It’s the throat. You can only react in that way. BD: Are we losing this ability to change ways of projection? RC: Yes. Very often you realize things are sung in the same way no matter what. I feel that, I feel that. It’s difficult for me to speak about these things because I am a certain age. In two years I will be forty years on stage, which is quite a lot, and of course the past is always the best! But it’s confusing time to time because I hear myself from time to time on the radio. I don’t collect my records. I don’t like myself. BD: [Taken aback] You don’t like yourself??? RC: No, this is exactly what I am saying. I don’t like myself because I would do things totally different, because my feelings are different. So from time to time I say, “God, was that right, or I’m wrong? Was it wrong then, or is it wrong now?” The feelings are different. There are a few performances that I did on record that really I definitely say I would do that exactly the same. BD: [With a gentle nudge] Which are these? RC: I don’t say that. It is too private! I could tell you that later, but not on the mike! [Both laugh] There is a video tape I saw again on the television after many years. I was surprised that it was on video tape. I know somebody was stealing that, for sure. Anyway, the tape was fantastic. Nobody nowadays can sing it like this again. Not just me, the whole show because there was a fine conductor, and we were matching each other with tremendous voices. The only ugly voice was mine! And there was also tremendous direction because that was the opening of the Italian television. But when I saw the show it was so painful because my head should be next to the soprano, or my head should be next to head of the tenor. I should not have moved my hand. I should have turned this way just a little, etc. Because the technique at that time was so limited, we couldn’t do anything. Now the television gives you the possibility to be broad in what you do. What you see on television is incredible. So it’s difficult to compare the present with the past. As we say in Italian, you have to take my words with ‘beneficio d’inventario’ [benefit of inventory]. You may like or dislike it now, but I am very insecure now. BD: [Again, taken aback] Insecure??? I would think being a veteran of almost forty years would make you more secure! RC: No, I am very insecure about what is right and what is wrong. BD: But you don’t bring this insecurity when you’re directing! RC: Ah, no! I’m teaching more than directing. I don’t feel like a director. I love to direct, but more than directing I teach because the details are everything for me. BD: Have you ever directed an opera in which you also sang? RC: Yes, which I don’t like because I see the show from the director’s side, then I go on stage a few steps and I have to act. You have no idea how many times I saw myself, I felt myself and wondered, “What are you doing here? This is the wrong position!” Even if my assistant was taking my place on stage, physically I feel different. When I am sitting down preparing, I plot each character in the geometry of the positions in the action. I have a movie in my eyes, and I see the movie when I write my show. I always write because my memory’s really bad. I write everything, and then slowly, slowly, I’d be on stage from my details. My details go to the characters, because each one of us does things our own way, and the director does not know how. So we have to build, we have to match everything, every small specific character we have. So it’s very difficult, but when I direct I am very, very tight. I have a very bad reputation. They say I’m very difficult. I enjoy myself, but I’m very picky because every detail has to come out because the details are part of the libretto, every single word. How can you explain Gianni Schicchi, for instance? I was just thinking about this because I have to go to Australia this year to teach, and I saw they’re doing Gianni Schicchi among their other operas, and the director is a very nice gentleman, but not Italian. I will ask him if he knows why they speak about Tu se' anche stato podestà a Fucecchio. I am curious to see what he will do. Why Fucecchio? Because Fucecchio is a small town which was at the border of the Siena, Florence and Pisa Republics. None of the three republics wanted to have Fucecchio because they were all crazy and fearful. So if you say Tu se' anche stato podestà a Fucecchio, this is a gesture that nobody will understand if you don’t know Italian. It has to be absolutely understood. How can you explain that? How can a foreigner understand that? So you see, there is something missing. You must know the secret. You must know the secret, otherwise what do you translate? What is that Fucecchio? What does that mean? It is like Così fan Tutte because Così fan Tutte is always a misunderstanding. I don’t like to speak about the finale because everybody makes the finale as a happy end. RC: No, it’s not a happy end, because you have to know Italian. BD: Who should end up with whom? RC: They don’t get married. They just leave. What happens now in the usual edition you see is because there is a translation from the Mozart period where they translated the Italian as a happy marriage in Germany. So the translation in America is done from Germans and from Austrians, who took this translation for good. When at the end the ladies are telling them ‘We shall be faithful forever’, they really are furious because the young men have made this advance to the two ladies, and then they turned their backs on them. So who can understand it if you don’t know the language? BD: So what do you do as a director to make sure the audience understands these details? RC: I work on the details physically so they turn and you see the men doing this [demonstrates]. You have to point out the details with your hands. You know that singers, as they go on stage, immediately have to let their hands fly. They always have their hands up. I had a fantastic Swede, a clever tenor. The voice was not beautiful, but he’s got talent. But he came out on stage to sing ‘Il mio Tesoro in tanto’ looking very serious. Then with his hands it looked like he’s taking off. He later comes to me and says, “How was it?” and I say, “Very well singing! But your acting looked like you flew away! You had wings!” So this is something to think about. It’s capital to use your body when you need to. You will see always singers pointing at something. They always have one finger out. Not the hand, the finger. If you have to point at something a thousand times, when I do this again it doesn’t mean anything. So what I’m teaching is first don’t move! BD: Don’t move at all? RC: Don’t move. Try to find which are the essential movements that you need to explain yourself. Then those are the few gestures with which you explain something, and that’s it. Then you grow, and that’s beautiful. BD: Have you sung a lot of contemporary operas? RC: Yesterday I was talking with Alessandro Corbelli. He’s a very nice guy, a professional. He was one of my first Italian colleagues on stage, and I was asking him how many operas he knew. I have over three hundred now, and he said, “I think I did fifty operas, but really maybe twenty standard works because I have done so many modern operas.” You do two performances or three performances or just one performance and it’s gone forever! BD: Why have they gone forever? RC: Because they’re not good, they’re not appealing, they’re not interesting. For one Verdi or one Cimarosa, imagine how many composers were also writing at that time. BD: But whose fault is it that we’re not getting so many new operas — is it the composers or the lack of librettists? RC: I think it is a lack of geniality of talent from both sides. You can have an excellent libretto by an excellent librettist, but I don’t want to talk about that. Years ago I did an opera from an Italian composer. The opera is only 19 minutes, a one-man show, and the composer is Luciano Chailly. [Luciano [born Ferrara, January 19, 1920 – died Milan, December 24, 2002] is the father of the conductor Riccardo Chailly.] They were asking me to sing the opera as a première, which I did in Vienna for the Festwochen in 1975. The librettist is fantastic because he said, “I’d like to do something of Chekhov”. My God, Chekhov! Chailly said, “Find me a libretto; find me whatever you want.” So I was reading for months, and months, and months only novels because I want to have something which has a start and an end in a very compressed way. We found The Book of Complaints. It’s a book of complaints in a Russian station, a small village where there are seven or eight complaints on two pages. On this text, which is a fantastic text, he needed fantastic music, only dance rhythm. It’s a splendid opera. I find him very talented, but how many operas are there, especially when they go into heavy thoughts, religious problems, and philosophical problems. They talk, talk, talk, talk, talk for hours and nothing happens on stage because it also needs something visual on stage. Otherwise you make a symphonic poem. For instance, I have to do now Stravinsky’s Pulcinella. It’s drama in the music because of the way he wrote the music. He took that as a symphonic piece, a dance piece because it’s on stage. BD: Do the contemporary composers that you’ve sung understand the voice? RC: [Sighs] Some of them understand the voice but don’t want to care about the voice. They just keep the voice like instruments. They want to do that! BD: [With a gentle nudge] You don’t want to sing like a clarinet? RC: For the voice it’s physically very hard to have some intervals. The body refuses certain intervals, so that’s why there are very few specialists. I have done so many operas, so many world premières, my God, and also so many Italian premières. BD: Should that Chailly piece be done more often? RC: Yes, but nobody knows because they don’t care. I will do this piece this year because I’m teaching for three months in the Merola Program at the opera house in San Francisco. They have a school for the young artists and they want to do shows for television. They want to do shows just to make tours with the students. They have only eleven students. It’s difficult to have more voices, and so they want to do the show. We will be very excited because for sure we shall do something because you need very few sets. But it’s very, very amusing. BD: Are there others that you have done that you think should be done again even though they have fallen by the wayside? RC: For sure there are some. I was recording this one because this is a very tiny piece. You can make a one-man show for television, and this is what they have in mind with all the monologues you can do. There is also Il Maestro di Capella of Cimarosa, and for a school I was suggesting to do some monologues from the period of Monteverdi because then you have the difference of the styles. With Monteverdi you have absolutely to be epic, to be Greek, and you can stand on stage and perform that. You can perform that Monteverdi as a monologue. I have done that, but the gestures have to be very select, very epic, very essential. Then you go on to the commedia of Maestro di Capella where you have to be broad, like the Neapolitan commedia dell’arte, which is not commedia dell’arte. It’s more Neapolitan than commedia dell’arte. Neapolitan style is not commedia dell’arte, it’s sceneggiato, I would say. [Sceneggiato indicates an opera, both Italian and foreign, of literature and fiction reworked for television representation, especially in the period up to the end of the eighties.] Then you have the modern side of Chailly applying his music to the text of Chekhov. This is absolutely very modern, so you have three different styles of acting for one person, and to show that from the school I think is not bad. BD: It sounds like a doctoral work! RC: It’s a doctoral work, yes, but this is the only way to work because I have been giving so many master classes here and there. It’s incredible. They always have fencing classes, acting classes, and there is never acting classes from somebody who knows what it means to sing on stage. But acting for the opera stage is different from straight acting because we have some obligations such as the tempo. You cannot lose the beat. So you have to prepare yourself and the director has to prepare himself in a perfect way to be always in tempo but also to be believable. Otherwise there is no sense. BD: One tiny bit of rubato, and that’s it. RC: That’s it, and you make a mess. [Both laugh] It’s not easy. BD: What advice do you have for composers who want to write a new opera? 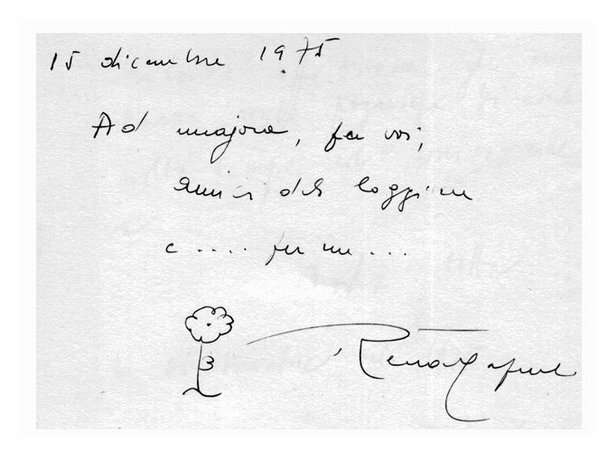 RC: To be modest because I believe that somebody who writes — it doesn’t matter what, a book or an opera — believes he is self-important and has something to say to humanity. I feel this way. I am very shy. That’s why at times I’m aggressive — because I’m shy. Because I have fantastic memories, tremendous jokes and experience in forty years, you can imagine what I have seen in my life is incredible. How many times I’ve been told to write it all down! What interests me is what I’m telling you in this way now, at this moment. So any endeavor that has no sense is not important. How many composers believe they must say that? BD: Is it partly the public’s fault for expecting every new work to be a masterpiece? RC: No, no. Nero was right when he said ‘panem et circenses’. That means ‘bread and circuses’ to keep the people quiet. The ‘circenses’ is always the same. People want to go to the opera to have fun, and very often the composers are trying to show that they are intelligent. They have ideas which are more modern than anybody else, that they were inventing something new. Of course, every period has its own music. BD: That goes back to ‘style’ again. RC: Yes, we go to ‘style’, and so you see each period has a style because for sure the style is different. The way of life now is different from twenty years ago. The world has a different sense. The morality has different senses. The sense of the flag is something else. RC: For sure. Every period of humanity gives masterpieces. Who could believe when I saw the first paintings and drawings of Picasso when he was just starting? I saw that in 1950 when I was guest of Étienne de Beaumont, Count Étienne in Paris, who was one of the supporters of Picasso. He was starving, and we know that he didn’t sell anything. Then he became more and more famous when he started to do crazy things. He became a star, but he was a genius, and he had made this kind of masterpieces of ‘Cubism’ etc., the Rose period, the Blue period, etc, etc. But you have to be a genius, and I don’t think there is a genius every year. How many Verdis were there? How many Puccinis? Only one! How many Wagners? How many Strausses? There are so many composers that I hear on the radio, but who is Spohr, and how many operas did Mr. Spohr write? RC: Yes, but how many are performed? BD: Should his operas be performed? RC: No, because the public wants the circences. They go to the theater to have fun, or they go to big theater like La Scala or the Metropolitan and after going aaahhhhhh and oooooohhhh, then they don’t understand anything. Or they go because they like Traviata, Trovatore, Rigoletto and Strauss and Puccini. They don’t prefer Monteverdi or something like this. BD: So you would let all of these unknown operas just gather dust on library shelves? RC: Perhaps do them from time to time for a centenary or as something to speak about the period. BD: Is it not boring only to have masterpieces? RC: From time to time you also can do other things. Seurat, the painter, is not famous, but there is his splendid painting here, and this genial man who did the musical made a big favor to Seurat. [Georges-Pierre Seurat (2 December 1859 – 29 March 1891) was a French Post-Impressionist painter and draftsman. He is noted for his innovative use of drawing media and for devising the painting techniques known as chromoluminarism and pointillism. His large-scale work, A Sunday Afternoon on the Island of La Grande Jatte (1884–1886), altered the direction of modern art by initiating Neo-impressionism, and is one of the icons of late 19th-century painting. The painting shows members of each of the social classes participating in various park activities. The tiny juxtaposed dots of multi-colored paint allow the viewer's eye to blend colors optically, rather than having the colors physically blended on the canvas. It took Seurat two years to complete this 10-foot-wide painting, much of which he spent in the park sketching in preparation for the work (there are about 60 studies). It is now in the permanent collection of the Art Institute of Chicago. The painting was the inspiration for James Lapine and Stephen Sondheim's musical, Sunday in the Park with George.] Art Deco, for instance, was lost for many years. Now it becomes modern again. So for sure also one day we will speak about the Neapolitan School or the Venetian School, and with The Four Seasons of Vivaldi they will also quote some other composers. Domenico Puccini was the grandfather of Puccini. 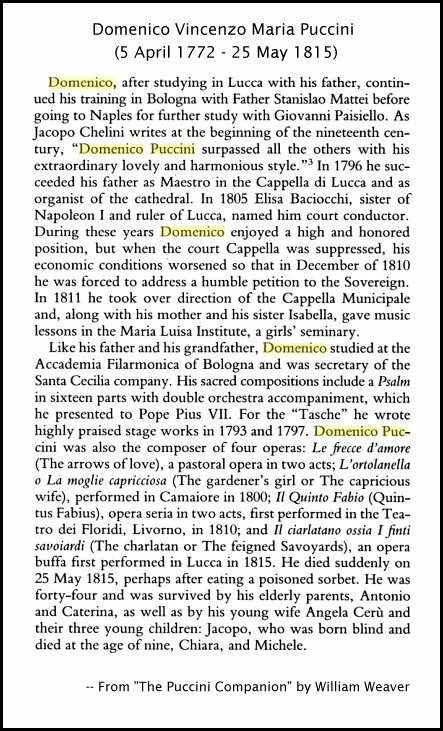 Who knows Domenico Puccini, but if they speak about Giacomo Puccini, they will also speak about Domenico one day for sure. BD: We had a production here a number of years ago of his opera Il Ciarlatano. It was fun to see it, and I enjoyed it. BD: You’ve been student of voice for forty years. How have voices changed in that time? RC: [Laughs] The first change is with the physical state of your body. As you get older, you have more and more difficulty to support your phrasing because everybody has an engine. Like a car, when you use it after a hundred thousand miles, it becomes a broken piece of iron. BD: You don’t think of the voice as a machine, do you??? RC: Well no, it’s not a machine. It’s an instrument which gets used. A violin can last if you take care of it. For how long we don’t know because there are violins which are three hundred years old. They will last more, or who knows? One day they think they will become powder. BD: They’re finding on the violins, especially the Stradivarius, that if they’re not played they turn to dust. But if they are played, they stay vibrant. RC: They have to play every day. I know the Conservatory in Mantua, and every day a man plays every kind of instrument. Anyway, the voice changes because of the muscular problems and the sickness etc. that anybody can have. But more than everything, the voice doesn’t change. We have to repair the damage because you use the car and the engine gets broken, so you have to repair. So you sing, and you always have to take care about your health. Once you’re in a bad shape, if you have a sickness, or maybe you have pain in your neck, maybe you have pain in your belly, you try another way and you get used to that, and this is what you have to do. You have always to take care about your health. I am of the generation from the Second War. I started immediately after the War, so we were suffering so much. We were hungry, so we were approaching life like going to the Madonna in the church to pray, both hands together, praying. Now I have the feeling, especially in the new generation, that when they have a beautiful voice it’s something that they have, so they have the right to have everything else. They forget that it is a gift that God gave you, but you have to maintain the gift. If you have a brain you have to use the brain, otherwise it’s useless to have a brain. It’s useless to be lazy if you have two arms and you don’t want to work with the arms. So very often they confuse the beautiful voice with a definite talent. The talent you have or you don’t have. You may have a small talent and improve. You have to study, you have to work. There will always be beautiful voices, but I don’t know if they will have enough patience to improve. BD: Are the young singers singing too much today? RC: Well, there is also one thing. Life costs too much. It is expensive to be at school. It’s a fortune. You must be rich. You must have the loans and scholarships, and not everybody can have that. I know many singers are in New York being waiters while trying to sing. Many teachers are trying to have students because the problem is that usually the voice teachers are singers that lost their voices, or never made a career because they were unable to sing. So the students reflect the knowledge of the teacher. BD: Is that a frustration? RC: This is a tremendous frustration. The universities are full of teachers. They don’t move. They grab the chair and they desperately look for singers. They don’t care about the voices. They can be horrible. I’ve heard so many horrible voices around in the university and in schools because they need students, otherwise there is no position for the teachers. So the students are the victim of these teachers, and what happens is they study because the teacher says, “Don’t worry! This is good. You are improving!” But they don’t improve at all. BD: I’m surprised we get any good voices at all with this kind of teaching. RC: There are many natural voices which are so strong and so good that no teacher can distract them. BD: So they survive in spite of the teacher? RC: Exactly, they survive in spite it. But there are also good teachers, of course. There are many good teachers, and the problem is that the students have to survive, so they try to sing as soon as possible. It’s a big business now. How many agents are around? There are thousands of agents. BD: Are there too many singers? RC: There are too many singers for too little work. Germany is just filled with American singers, and of course they all feel homesick. They want to come back. Many of them are taken there because they are just beginners. So they are taken as beginners and they stay two or three years. They change maybe two or three theaters, and then they die there because they want to come back home. But there are so many singers and very few performances. In American the expenses of a hotel costs a fortune. You have no idea what this flat costs! I have to support myself here. I am living all my life in hotels, so I can’t go in a junk hotel, otherwise I die. BD: In spite of all this, have you liked the life of a wandering minstrel? RC: What else could I do? This is a horrible life but there is no life better than this one. It’s a sickness. Take the ballet, those poor dancers. Have you ever seen the feet of the dancers? I don’t know how they dance, poor people. It’s such a pain. They starve, they do everything just to dance. How many actors are starving, just to be on stage? Every opera has a sense, bad or good. You have to work! As a performer you have to go deep in the show, so you put all yourself to succeed. The opera is a horrible thing. You kill yourself to make a good thing about the opera. You want to succeed, otherwise it’s your death. You don’t go on stage to be booed! You feel lost so much with the piece you do, so you end up loving the piece. So when they ask me if I prefer Traviata, Trovatore, Rigoletto or Otello, I say nothing. Everything is the same. BD: Let me turn the question around. Were there any roles that you wished you had the opportunity to do? RC: There are several roles that I never did on stage, like Iago. I did that for television but never on stage because I had a very tiny voice, I had a small voice. Voices are getting smaller. I remember in my time the old baritone voices we had were big voices. There is also one thing that theaters in the past were built at a human size. Now they are circuses. You don’t see the end. You never see the last row, especially in America. They need masses of people. Once I was listening to Wagner and the orchestra was below. Now they are just in front. So instead of having three walls you now have four walls, and the thicker one is just in front of you. So what do you want to do? There is no pianissimo on stage anymore. The crescendo of Rossini is not a crescendo. You start from mezzo forte because if you start to whisper, nobody hears you! The orchestra is different. Put eighty people against you, even doing ‘tick, tick, tick, tick’ and the horns ‘pup, pup, pup’, you cannot whisper anymore. The theaters are wrong. That is why you go to Venice. When you go to Vienna, my God, that’s it! I was there two years ago in Vienna after twenty-one years and I said this is so small! I forgot. BD: So you’re getting used to the Met and Chicago and San Francisco? RC: Yes. At La Scala you feel the people. In San Carlo di Napoli, which is the biggest one, you feel the people. In the Arena di Verona you feel the people, but the Roman Amphitheater was done for that. If you take your match and you light the match, you hear that in the last row. BD: So that’s the acoustics? RC: Yes, because the engineer and architect were engineer and architect. They didn’t try to ‘épater le bourgeois’ [shock the middle class] as we say. BD: I am glad you have chosen to spend a bit of time performing here in Chicago. Grazie. This conversation was recorded in his apartment in Chicago on October 3, 1986. Portions were broadcast on WNIB the following year, and again in 1988, 1993 and 1998. This transcription was made in 2014, and posted on this website at that time. My thanks to British soprano Una Barry for her help in preparing this website presentation.